Fantastic learning through the French Spelling Bee! Each year at Coloma our Year 7 students take part in the French Spelling Bee competition, which is a hugely exciting event. Students learn large numbers of key words and also practise the ability to spell those words out in French, and at speed. The three students from each Year 7 form who were able accurately to translate and spell out the most words in one minute recently took part in an exciting inter-form competition to decide which three Coloma students would then go on to the regional final against many other schools. Our three students who, accompanied by Mrs Hickey, travelled to the regional final, all did really well, and they deserve many congratulations. So well done to Jaliza Stuart from 7Y, and to Francisca Rios Durkin and Elizabeth Willis from 7W. Elizabeth now goes through to the National Spelling Bee final, which is an amazing achievement. We wish you really well in the National Final, Elizabeth! 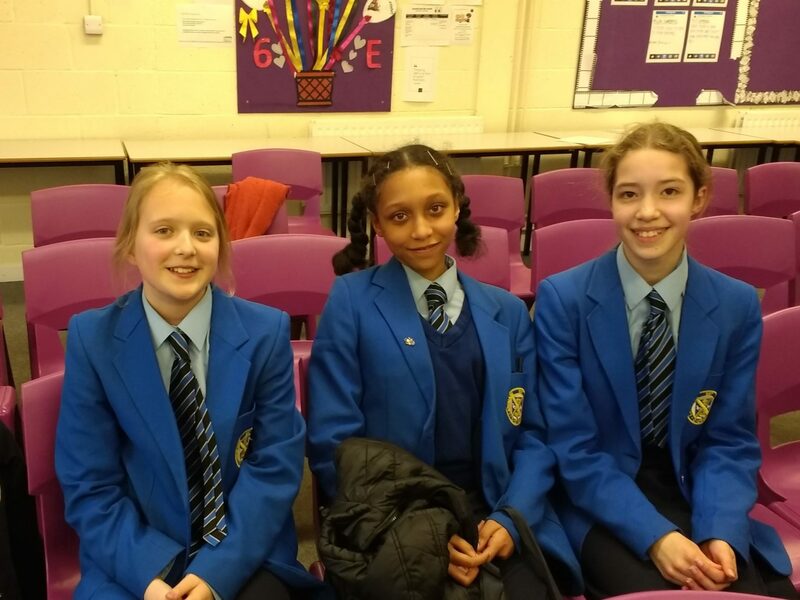 Many congratulations to all our Year 7 students who have learned and practised so hard for the Spelling Bee, and thank you so much, Mrs Hickey, for organising the Spelling Bee at Coloma and for offering this opportunity to the girls.